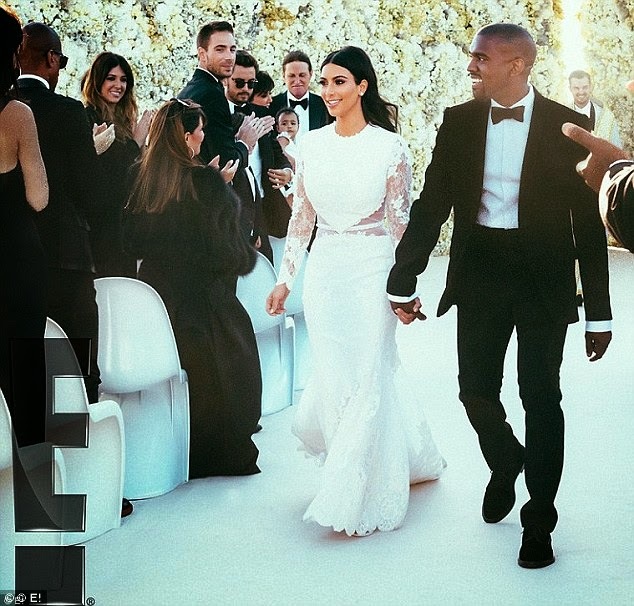 They recently celebrated their love with a lavish wedding in Italy. 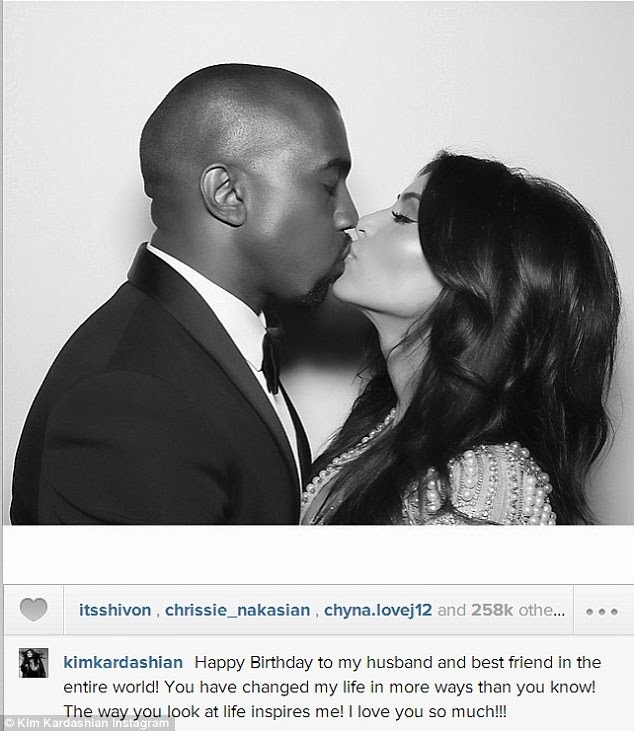 And Kim Kardashian took to social media on Sunday to further prove her devotion, wishing new husband Kanye West a happy 37th birthday. 'Happy Birthday to my husband and best friend in the entire world!' she gushed. 'You have changed my life in more ways than you know! The way you look at life inspires me! I love you so much!!!' the 33-year-old wrote. Kim also shared a snap of a cake made specially for the occasion. 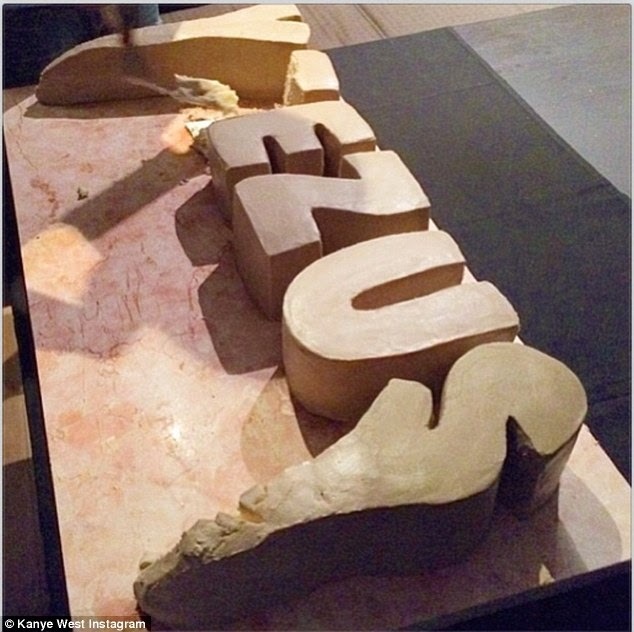 Depicting the word Yeezus in beige icing, it refers to Kanye's current tour and takes the form of the rocks that are part of his stage design. 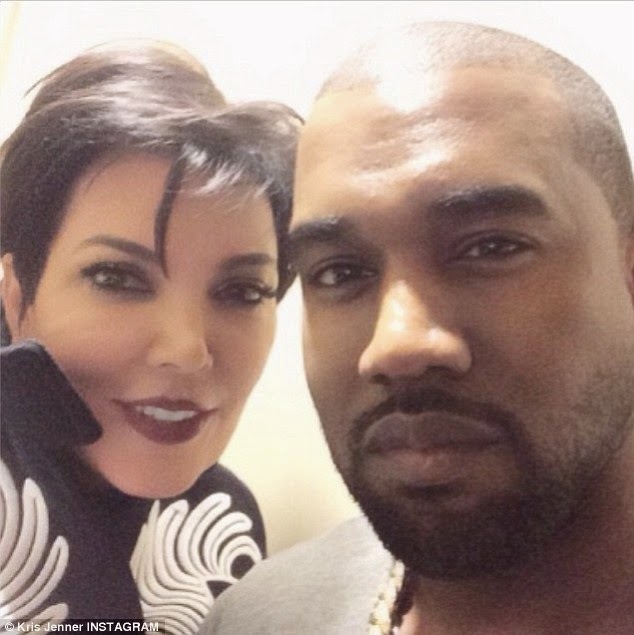 a picture of herself with Kanye. 'Happy Birthday to my new son #KanyeWest!!!!' the reality TV matriarch wrote. 'Have an amazing day I love you.....thank you for being such an inspiration. Kanye performed in Austin, Texas on Saturday night and a dutiful Kim attended the show, posting snaps of her husband onstage. 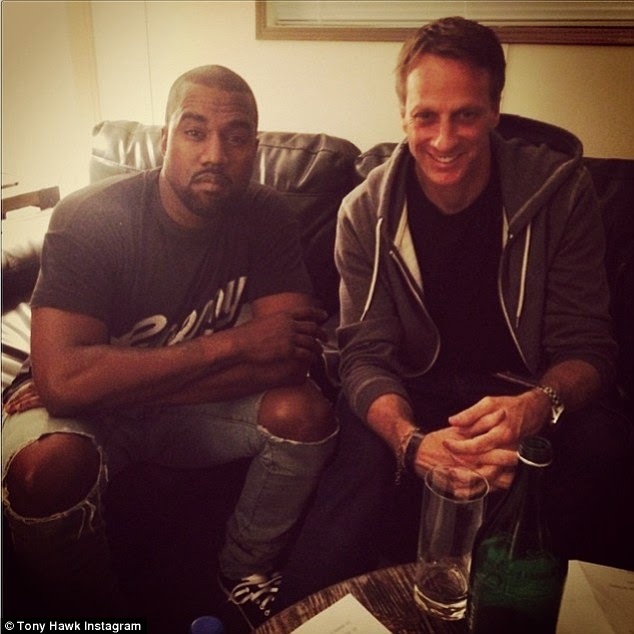 Meanwhile, pro skater Tony Hawk shared a picture of himself visiting Kanye backstage before the show. 'Thanks to Yeezy for the hospitality last night,' he wrote. 'Sorry for interrupting your nap... 10 minutes before showtime. #xgamesaustin #madrichalert'. Since jetting back from their honeymoon in Ireland and the Czech Republic, Kim and Kanye have returned to what, for them, is normal life, with Kim changing her name to Kardashian West. The couple married on May 24 in an extravagant ceremony in a castle near Florence, Italy. During the ceremony they were serenaded by Italian tenor Andrea Bocelli and the bride wore a custom-made Givenchy Haute Couture gown. The couple have one daughter together, North West, who will turn one on June 15.